Dedicated subnet: The Managed Instance subnet must not contain any other cloud service associated with it, and it must not be a Gateway subnet. You won’t be able to create a Managed Instance in a subnet that contains resources other than Managed Instance, and you can not later add other resources in the subnet. Route table. Служит для обеспечения возможности для вашего SQL DBMI доступа в Internet. 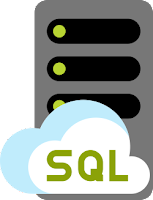 SQL managed instance. Собственно, сам SQL DBMI. Теперь самое интересное - удаление ресурсной группы с данными сервисами. Из этого списка без проблем можно удалить только "SQL managed instance". К слову, этого достаточно, чтобы за него перестали списываться деньги (а стоит он сегодня от 1300 долларов в месяц). Remove-AzureRmResourceGroup : Long running operation failed with status 'Conflict'. Regarding your issue I checked our telemetry data and you can’t delete the resources as they are connected to a virtual cluster which is in preview and only the product group will be able to delete the virtual cluster, I will engage the product group to delete the virtual cluster with name ‘VirtualClusterManagedInstance’ under Resource Group : ‘sqlTest’. - There is a possibility that the managed instance will be automatically deleted, if not you will be able to delete it after removing the virtual cluster. - Also this kind of issue and the resource is deleted after some days. At this point you do not have any costs associated. Меня очень удивило, что сервис находится в Preview, хоть в документации и на портале я этого не увидел. Ну да ладно. Пишите письма в техническую поддержку Azure :) Надеюсь, что эта статья помогла сэкономить вам немного времени на исследование данной проблемы. На этом всё, если появятся вопросы, можете написать в комментарии или на email.